With the impending implementation of MiFID II, many questions are still unanswered. 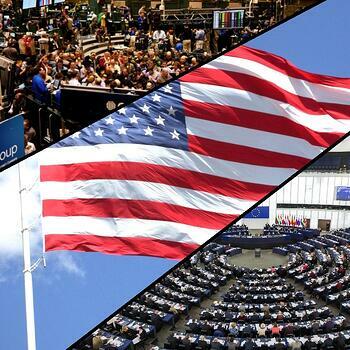 Will there be differences between limits set by exchanges, CFTC and National Competent Authorities in the EU? If so, what exactly will they be? The 2013 CFTC Mandate makes provisions for, inter alia, ‘designated contract markets’ and 'swap execution facilities’ (i.e. exchanges) to set the specific limits that can be accumulated by a trading market participant. This power may be exercised on a discretionary basis, but the limits set by the exchange may not exceed the provisions set out in the mandate. Effectively, each exchange may set stricter limits than those outlined by the CFTC and subsequently, each exchange’s limits can vary widely from one another. The CFTC limits have been set at 950 contracts for spot month, and 9,400 contracts for single month and all months combined. The CME, for example, has set limits at 950 contracts for spot and 4,575 contracts for single month and all months combined. So, the CME have taken the CFTC’s limit and made it more strict for all and single months - exercising their discretion to do so. Other exchanges may, and in many cases have, acted in a similar manner to the CME and implemented limits more strict than the baseline set by the CFTC. Under MiFID II, a harmonised position limits regime is set to be introduced, to ensure greater coordination and consistency in the application of the G20 agreement. This is especially the case for contracts that are traded across the European Union. As a result, the relevant competent authority will therefore establish position limits limits on the basis of a methodology determined by the European Union. Where referenced contracts may be listed on multiple exchanges spanning across differing competent authorities, the authorities must work together to set the limits so they align across exchanges. The exchanges will therefore have no discretion over the limits set - this is a stark contrast to the CFTC’s mandate and something market participants should be highly aware of. Despite MiFID II not providing exchanges with discretion over the setting of position limits, the exchange may enforce sanctions for breaching the limits in addition to the competent authority. This aligns with the CFTC, however, in the US the exchange and CFTC may enforce fines at different limits given that they may not be aligned. In both cases, the exchange and competent authorities may act independently in investigating the market participant. FundApps' Position Limits service automates the most challenging aspects of compliance, including calendar months, exchange-imposed limits and netting and aggregation. If you'd like to see how we can make compliance simple for you, simply book a demo, or contact us for more information.